Growing up I always said I would NEVER be a teacher! This was because EVERYONE in my family was in some form of education, whether it be a teacher, director, coach...you name it. So I went to college and got a degree in Communications. Then I realized how hard it was to get a job in this field, and in the back of my mind something kept telling me that my heart was in a different place. What I learned about myself during this period (what I refer to as my quarter life crisis) is that I was already a teacher on the inside. This is who I was, whether I wanted to admit it or not; therefore, I needed to stop avoiding this career path and go with what felt natural. To me, what matters most is helping others to be successful. This doesn't necessarily mean making the highest score on the end of year assessments. To me, this means being the best "you" that you possibly can be! If your very best is an 85%, then that's all anyone can ask for, isn't it? Numbers and percentages aside, my goal is to help my students feel good about themselves...to ingrain a desire to push themselves to the next level. My students often ask, "Why do we need to know this stuff?!?" Sometimes I don't have an answer for that, and even ask myself the same question (of course, I don't tell them that). My response is that, no matter what it is you're learning, it's just that...you're learning! So no matter what the task, objective, or standard is, whether you think you'll use it again or not, you're expanding your thinking. This means you're growing as a person, which in turn will help you in some capacity to be a more successful individual. 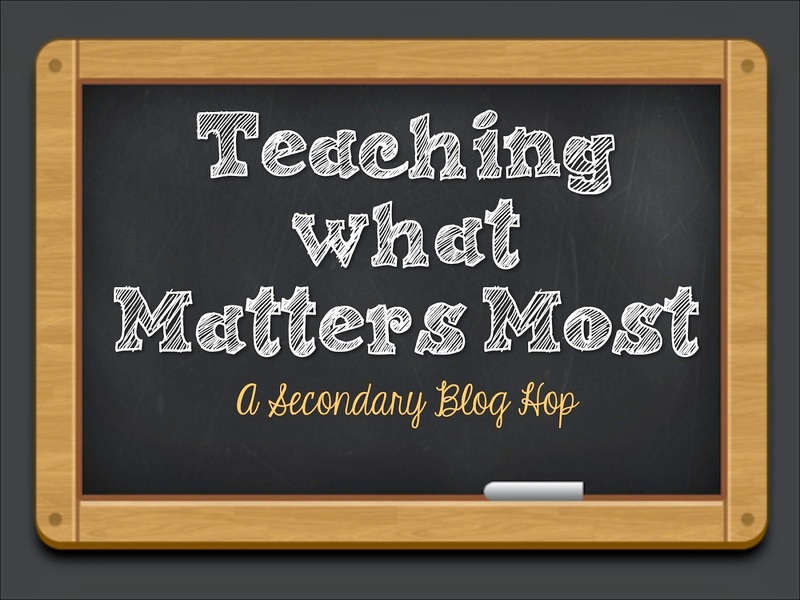 Thanks to Room 213 for organizing this blog hop, and for helping me think about...what matters most!